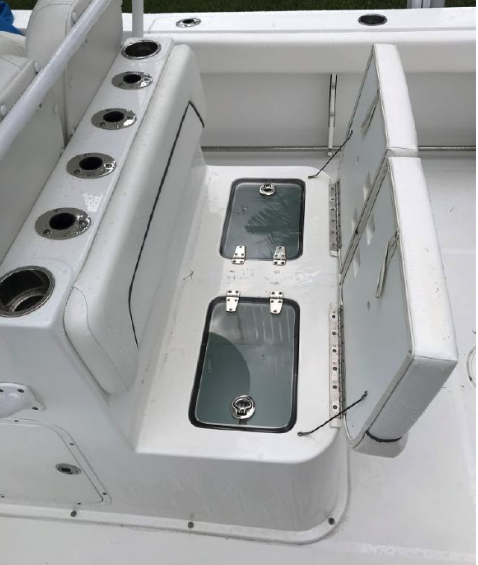 This series delivers exactly what serious fishermen demand in a sportfishing center console boat. 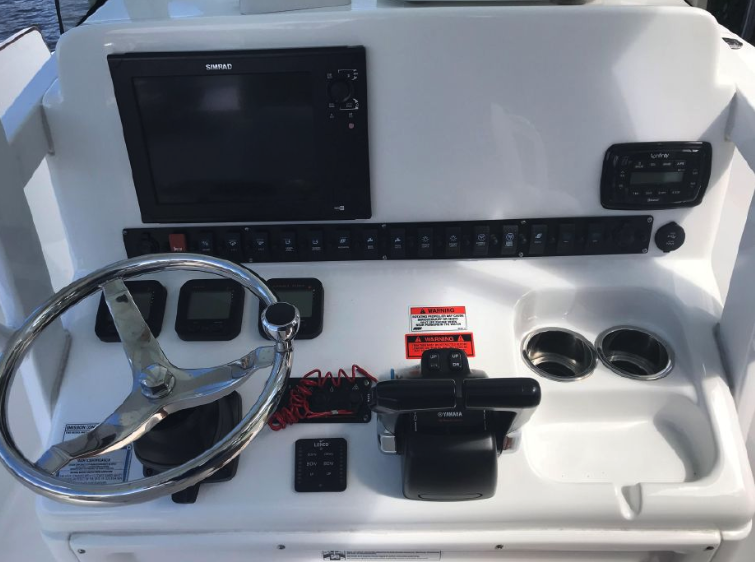 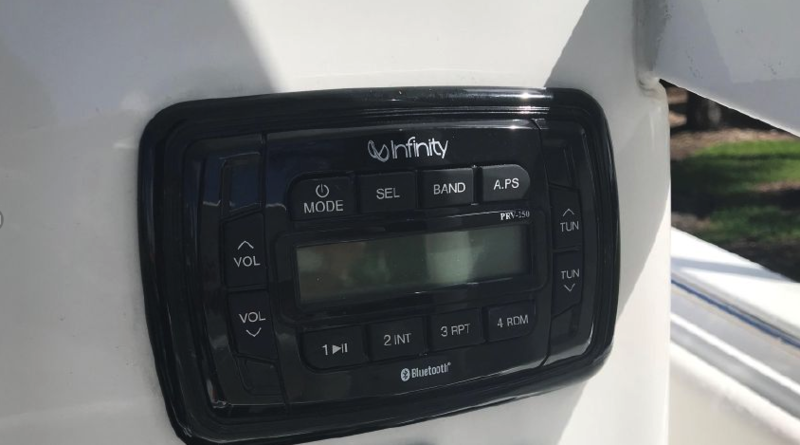 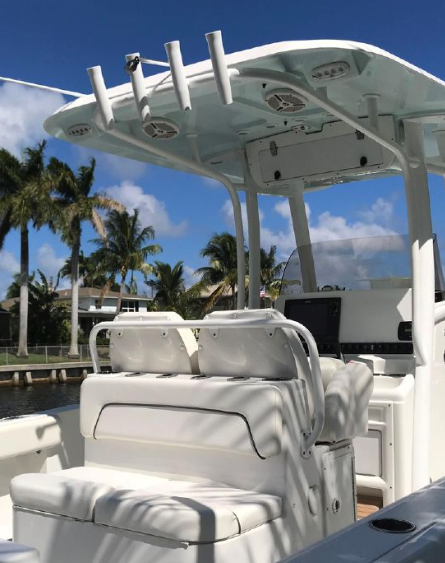 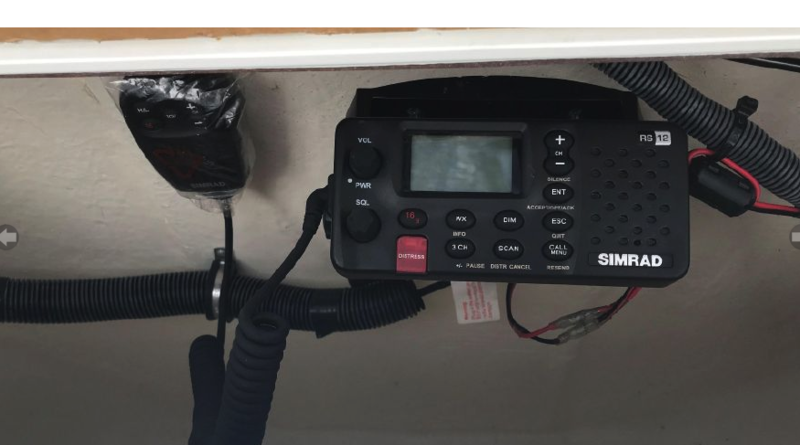 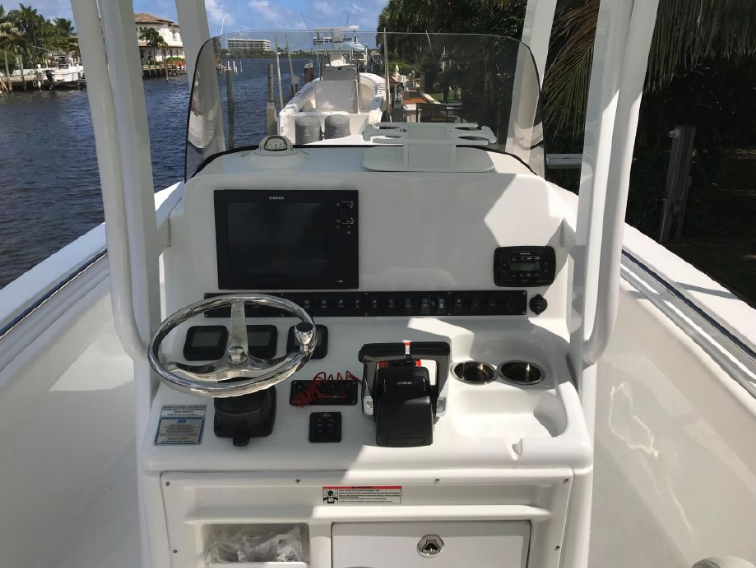 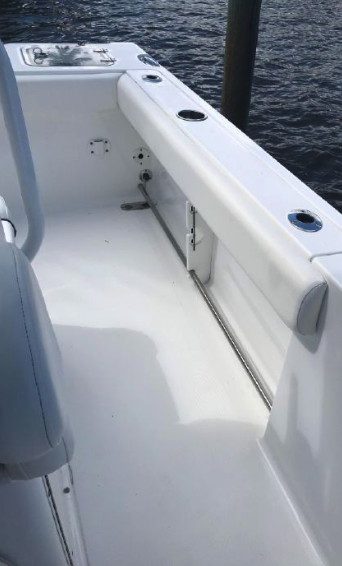 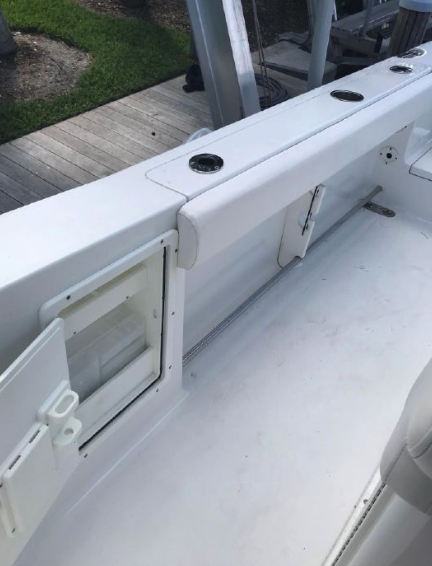 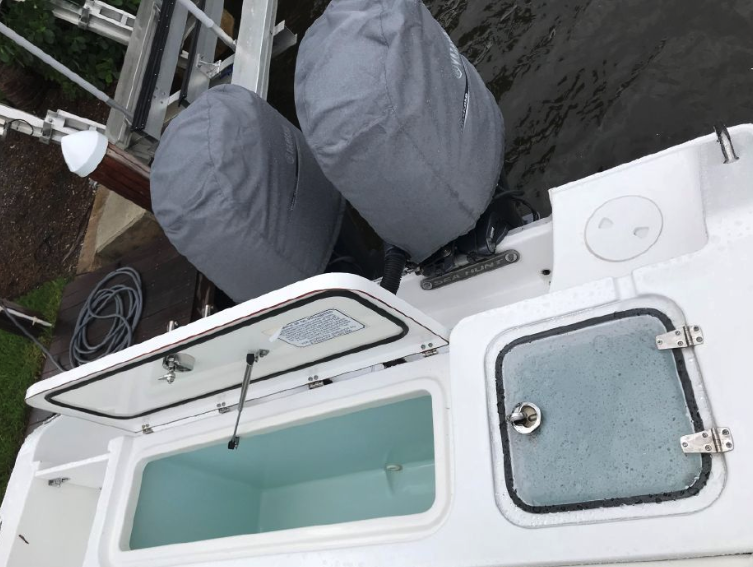 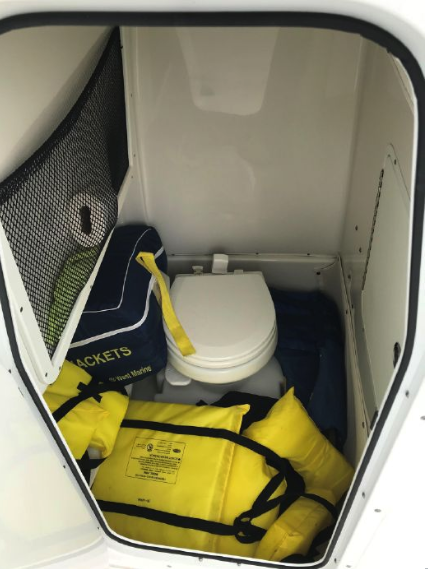 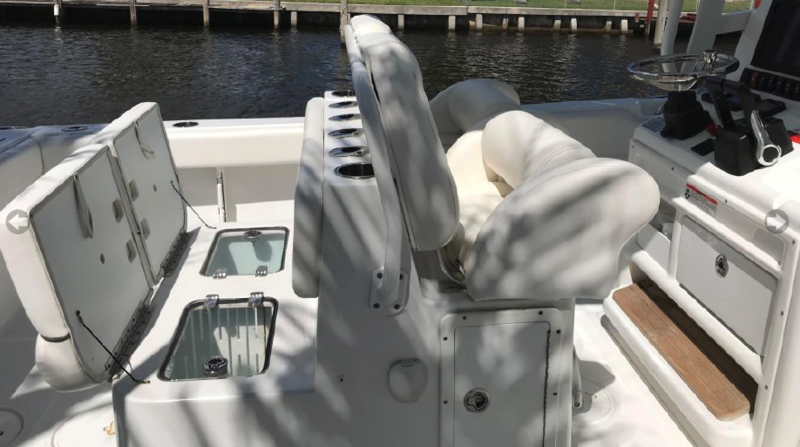 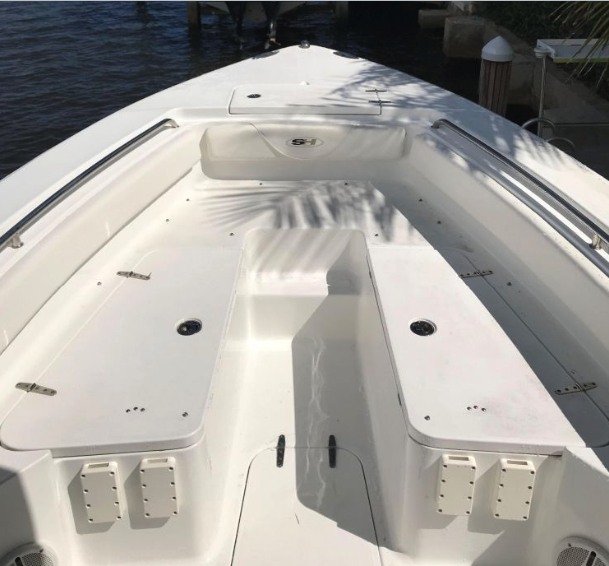 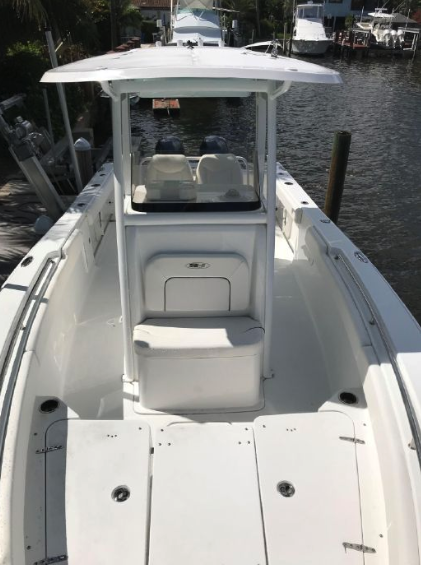 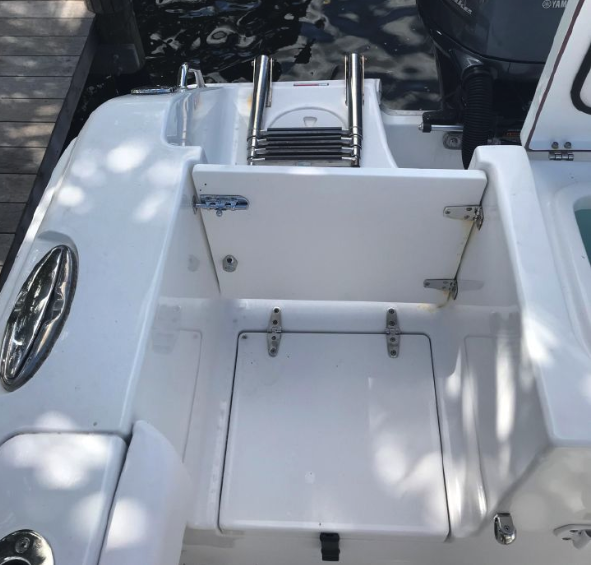 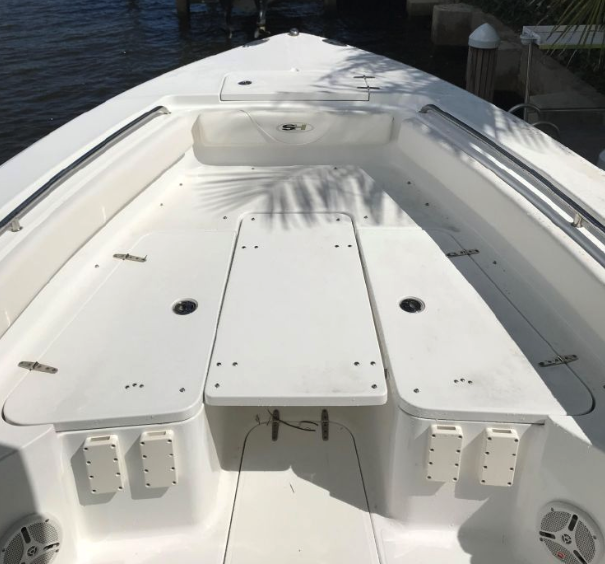 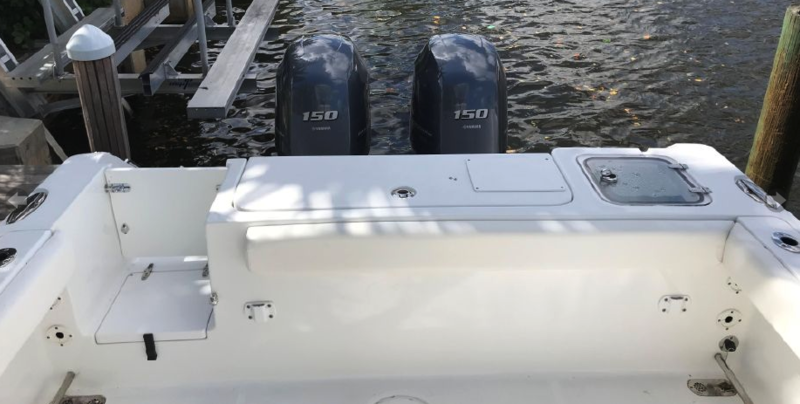 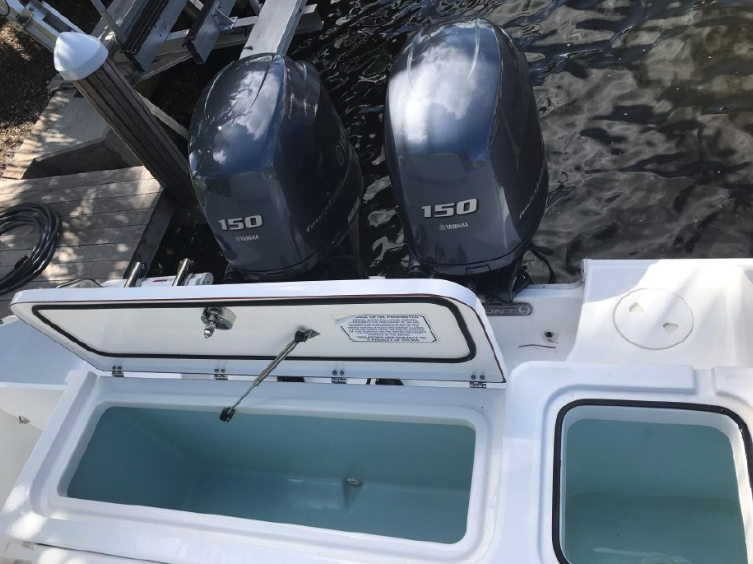 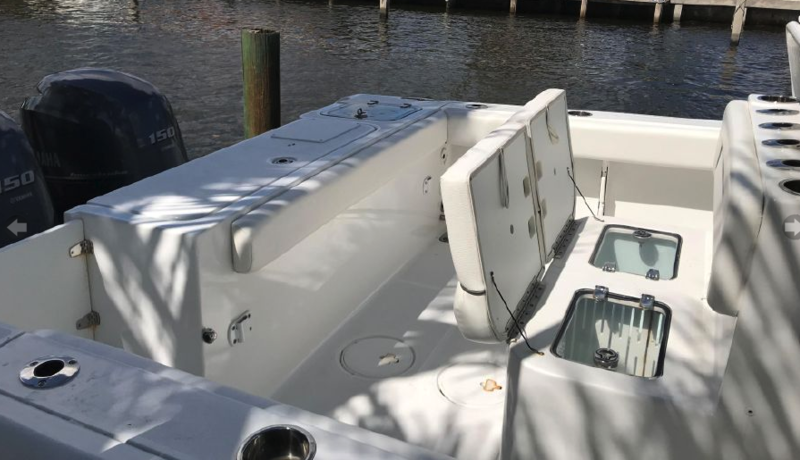 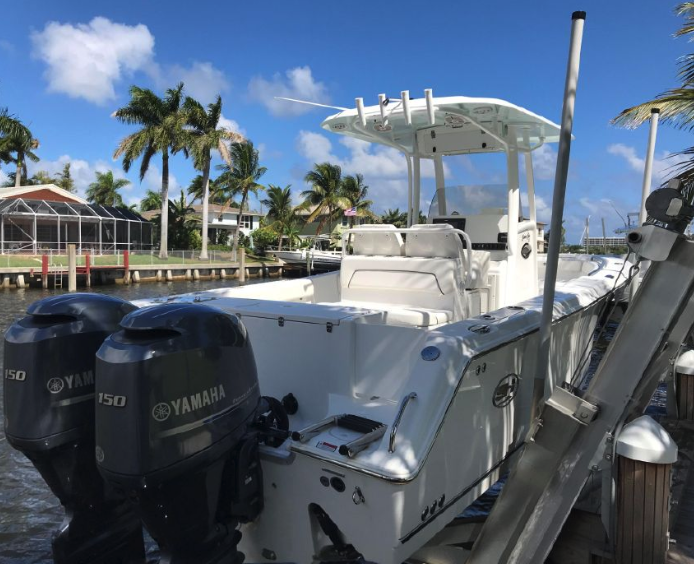 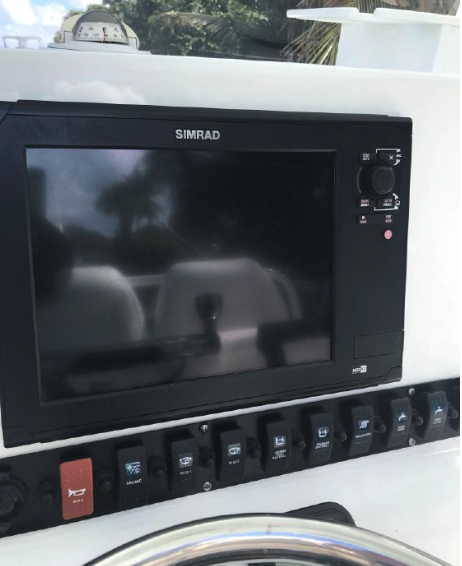 These boats come ready to fish with standard features such as multiple insulated fishboxes and livewells, cockpit and bow bolsters, all stainless hardware and Yamaha Digital Command Link Gauges. 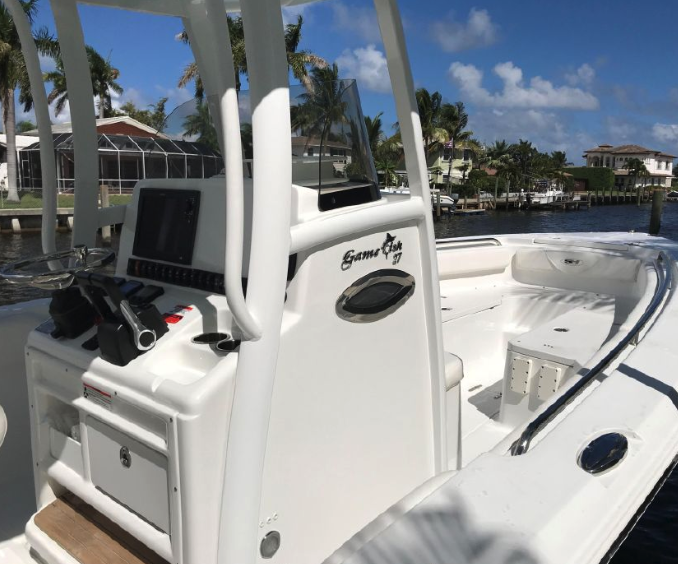 The Gamefish 27 has side entry doors, recessed trim tabs, and hydraulic steering as standard equipment as well. 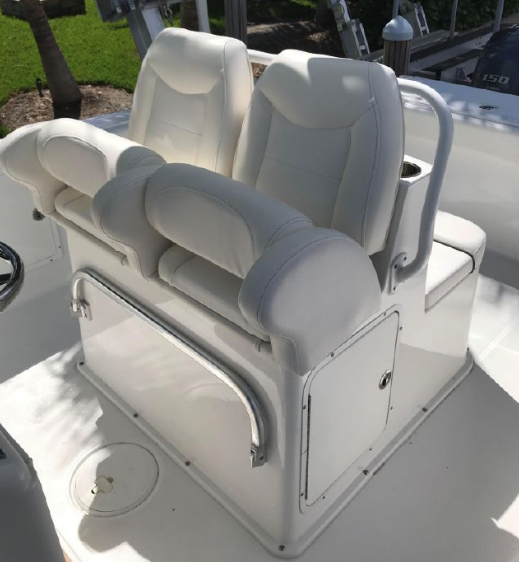 The cockpits are designed to have abundant room for 360° of fishing. 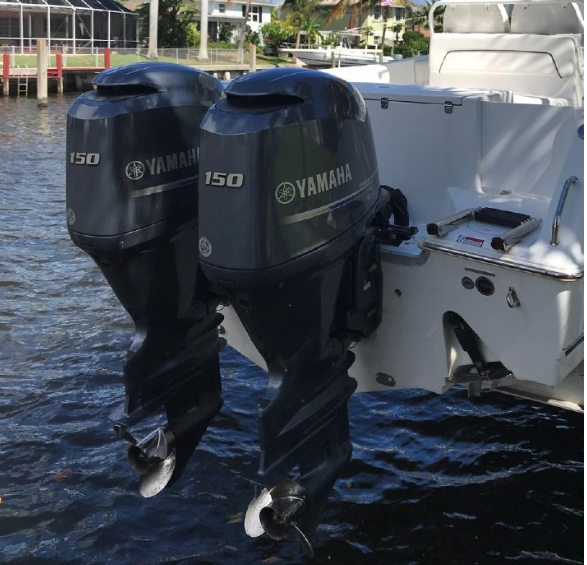 These hulls deliver soft dry rides second to none. 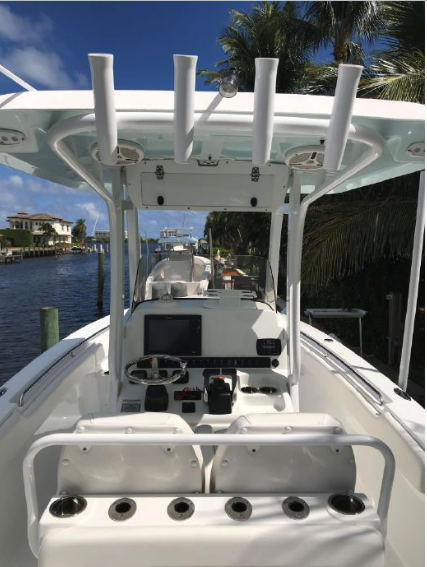 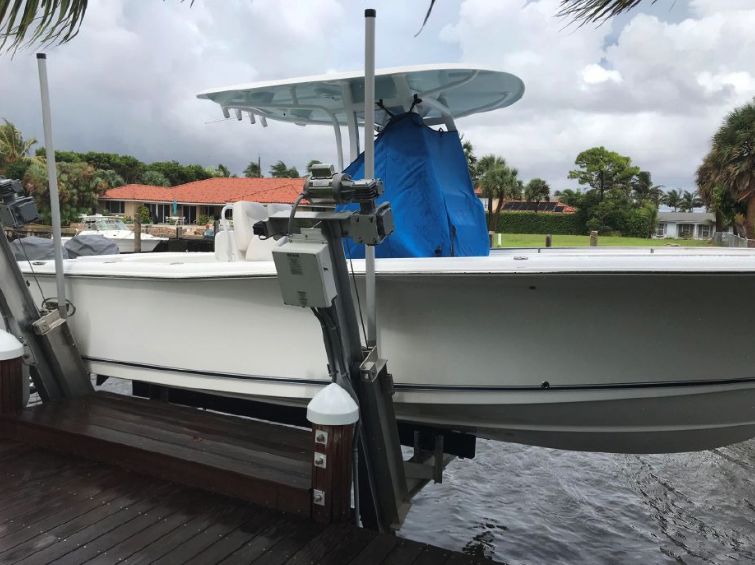 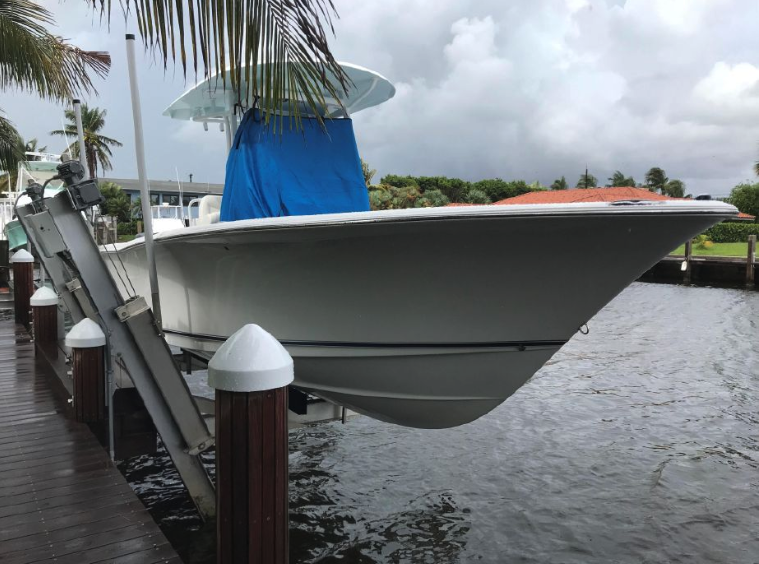 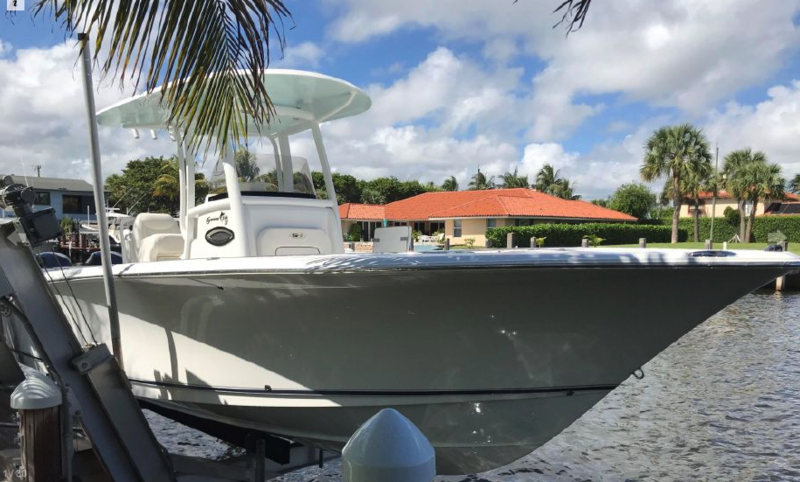 This Sea Hunt has been kept in pristine condition and is equipped with a 12″ Simrad NSS12, Infinity Bluetooth Radio, Trim Tabs, Vacu-Flush Toilet, Steering Wheel Control Knob, Underwater LED Lights, Bolster Leaning Post -White Powdered Coated T-Top, Underside Gel Coated Ice Blue, (4) Rod Holders, Livewell, Simrad VHF, Forward Facing Backrest and Twin 150ho Yamaha’s.